Днес реших да пробвам да направя кутийка за подарък на моята прятелка. Двоумях се дали украсата да е винтидж или романтична, накрая май че се получи нещо средно. Today I decided to try to make a gift box for my firend. I doubted whether to decorate it in vintage or romantic style, but after all I think it turned out something in between. Публикувано от Ani в 16:38 ч.
Nadell 24 май 2011 г., 16:51 ч. So pretty. Thanks for joining us at SFC. Diane 24 май 2011 г., 20:49 ч. 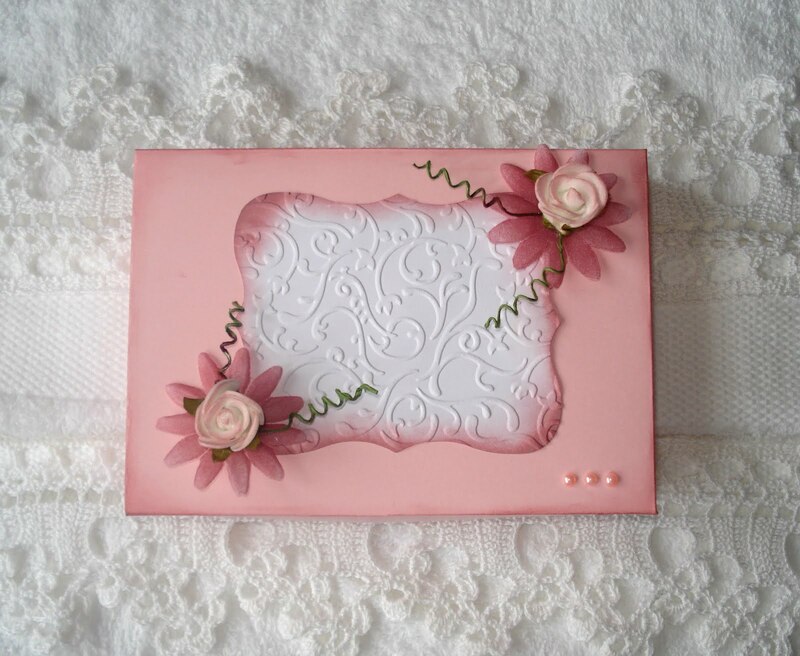 Such an elegant pretty box !! Love the colours !! Thanks for playing along with us at Woodware USA. wendy vecchi 25 май 2011 г., 15:33 ч.
email: Steph@SimonSaysStamp.com 25 май 2011 г., 20:32 ч. Pretty flowers! 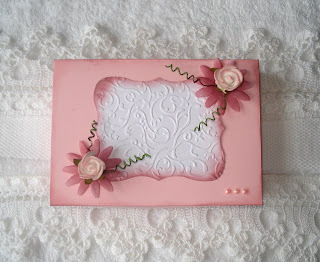 I like the embossing and how you edged it too! Angie 26 май 2011 г., 23:54 ч.
Melanie 27 май 2011 г., 1:18 ч.
Linda w 29 май 2011 г., 16:30 ч.
Linda Coughlin, the funkie junkie 30 май 2011 г., 4:11 ч. 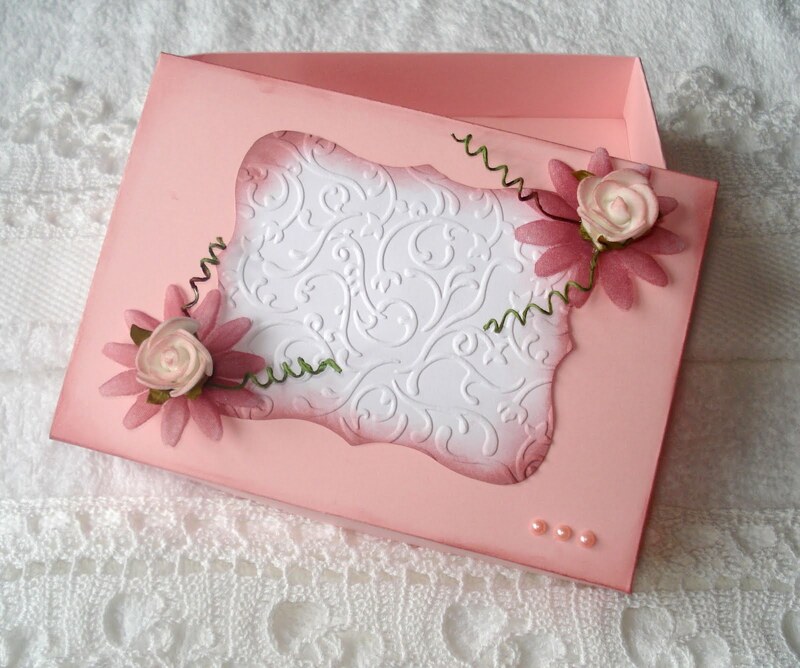 Such a lovely box - pretty soft colors and gorgeous flower! So happy you joined us for our challenge this week at Simon Says Stamp and Show. Bella´s Bastelecke 30 май 2011 г., 6:07 ч. Made by Mandy 30 май 2011 г., 16:05 ч. That is a gorgeous box, love the distressing and soft colours. Kirsty Vittetoe 31 май 2011 г., 9:07 ч.
Анонимен 31 май 2011 г., 10:44 ч.
Fab project - Just to mention that your fab project wont be in with a chance to win the prize for this CCM Spotlight challenge, as our rules state that you can only enter 10 challenges (including our own). Natasha 31 май 2011 г., 20:32 ч. How elegant. Thanks for playing along at Amber's Crafts and Stuff. Hope to see you again soon. Teresa Kline aka va.sunshine 3 юни 2011 г., 4:03 ч.
this is sooooo cute, I adore the colors and flowers...hope your weekend is fabby! Donika 8 юни 2011 г., 6:14 ч.
Наистина прекрасна кутийки се е получило.Много нежна и семпла.Радвам се че участваш в играта, очаквамете отново!